Spend precious time with friends and family out in the open, under the stars and surrounded by beautiful coastal countryside. We look forward to hosting you for your camping and glamping holidays here in Stackpole. 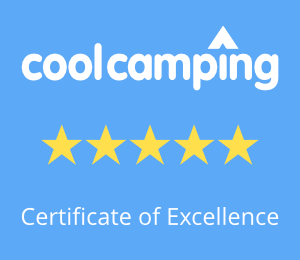 However long you choose to stay, and whether you’re in your own tent, camper or caravan or relaxing in our glamping accommodation, you’ll share experiences that will last a lifetime. We were very pleased with the enormous fire pit kept us warm in the evenings. Definitely recommend for those looking for a peaceful time in a lovely area with a chilled-out vibe. What a wonderful little camping spot!!! So good I would prefer not to share but keep selfishly for ourselves! The small number of pitches make it feel family-like and great for children. The hosts make time for all. Thank you for our favourite camping experience ever!!! We had a really enjoyable three days staying in the yurt at Stackpole Under The Stars. Thanks for making our holiday so special... I didn't want to go home. Best campsite we have discovered to date! We had a fantastic weekend at Stackpole UTS - the yurt was as comfortable as any hotel room, the wild-flower meadow was the perfect setting: relaxed and friendly. All in all, a fab place to stay... and the litmus test? When we left, my youngest (6 years old) cried for 10 minutes! We had the most laid back time here recently and the facilities are possibly the best I’ve ever experienced at any campsite. A short drive to Stackpole Quay, Barafundle Bay, Stackpole court and Pembroke, it proved to be a perfect base. Highly recommended, we look forward to visiting again soon. A real gem of a campsite. We had a fantastic relaxing week. Stan and Laura went out of their way to ensure we had everything we needed. The site is set in beautiful surroundings but close to many local attractions. We highly recommend this site and would definitely visit again. A true gem of a site. Toilets & showers roomy and clean. Very relaxed atmosphere. Stan & Laura are helpful and accommodating. Close to beaches and nature reserve. Will most definitely visit again. Would recommend to friends and family. ★ ✶ Our adventures under the stars . . . Designed & Built by percolated.design © 2019 Stackpole Under the Stars.